The 35th Panzer Regiment led the German advance into Belgium. By 9:15 A.M. the 35th Regiment had broken through the Belgian defense zone in the Tongres area despite Allied air attacks. 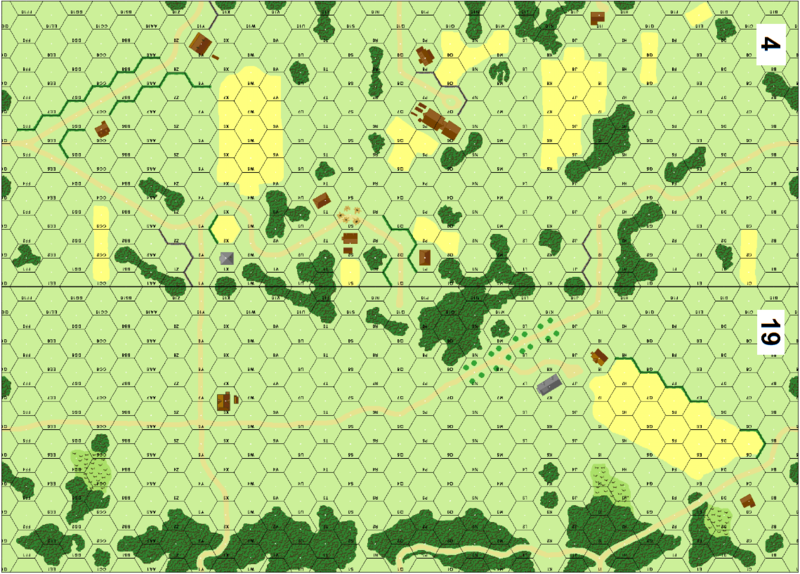 In classic blitzkrieg style, the defenders were attacked from the rear, disrupting their lines of communication. That afternoon, the 35th Regiment was ordered to change direction, to the southeast, in order to surround and cut off the Belgian troops defending Liege. Late that same afternoon, two French Panhard reconnaissance cars were to temporarily disrupt the plans of the 35th Panzer Division. Achieving complete surprise, the Panhards quickly destroyed one of the lead panzers before the Germans could react. This minor ambush so surprised the Germans that they halted their advance and went to laager for the night. This action allowed several Belgian units to escape the German advance. 2017-08-26 (A) Tom Kearney vs Lindsey Murillo French win Cool little scenario. 2015-03-07 (D) fabrizio da pra vs Federico Corso German win Small and fun scenario, nothing seriuos but nice to play, it takes 30 minutes from setup to finish. 2010-11-13 (D) nathan wegener vs Albert W German win 2 Panhards ambush 4 PzIIs. Panhards got 2 early kills but suffered a malf and better German ROF did them in.